Singapore might be the smallest country in Southeast Asia, but that doesn't stop it from being one of the most vibrant. Even with limited space, the country is packed with an abundance of tourist attractions, and a variety of event spaces. It is no wonder the entertainment scene continues to grow and have significant influence in the region. Not only are these venues unique in nature, they also come with all the necessary ammenities and are easily accessible via public transportation. 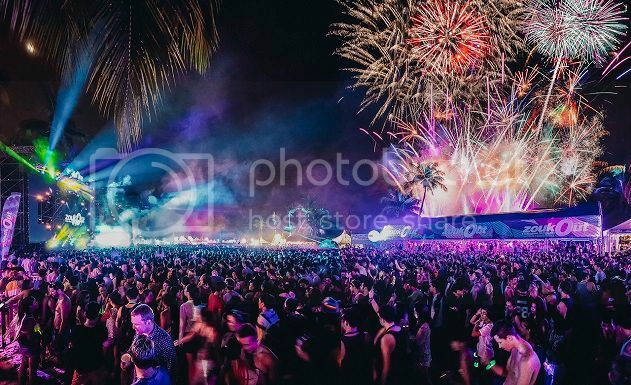 From parks to stadiums, a manmade beach to a gorgeous garden, Singapore has perfect venues for a wide variety of dance music events. Here are some of Singapore’s favourite outdoor venues that are great for daytime debauchery, night time shenanigans, and laidback music indulgence. The Meadow at Gardens by the Bay is Singapore's largest outdoor garden venue. With wide open spaces and a stunning backdrop of the city, it caters to just about the widest variety of events and parties. This gorgeous can accommodate 30,000 people, and it’s just a five minute walk from the Bayfront MRT Station. One of the selling points of this flower bowl-shaped space is the panoramic views of the iconic Conservatories, Supertrees and Singapore's downtown cityscape. Another bonus is the majestic view of Marina Bay Sands after the sun has set. St. Jerome’s Laneway Festival has been calling The Meadow home since 2013, and the lush garden will continue to play host for next year’s edition as well. Zouk Singapore also opted for this garden venue when they hosted the I AM HARDWELL ‘United We Are’ tour back in April. This historical site has quite a legacy in Singapore. It was once known as Bukit Larangan in Malay, which means 'Forbidden Hill'. The massive park has of course changed over the last few decades. It is now filled with attractions, including ancient artefacts for history nuts, beautiful greenery for nature lovers and outdoor lawns that are very much suitable for concerts. 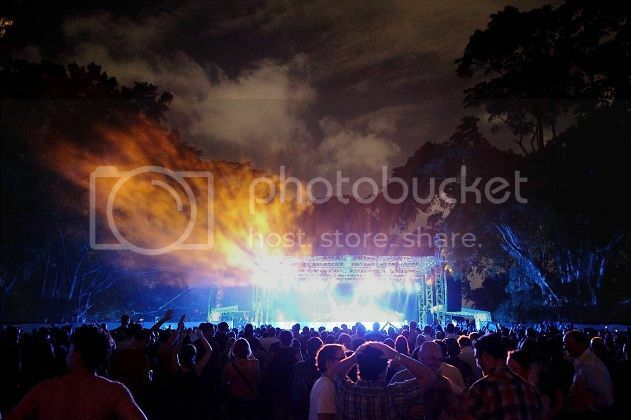 Fort Canning Park forms a perfectly sloped bowl for large outdoor concerts and can host up to 10,000 people. It has hosted an array of music festivals and artists, including Singfest, WOMAD, Faithless and The Beastie Boys. Singapore’s newest festival, Neon Lights, which features Flight Facilities, Ratatat, and Kid Koala in its line-up will be making their debut at the park at the end of November. The Changi Exhibition Centre (CEC) definitely has a lot of potential to become a hot spot for massive music events. In 2013, over 20,000 metal fans flocked there for Metallica’s concert. With indoor and outdoor facilities, it was also meant to play host to Future Music Festival Asia 2015 that was eventually cancelled. This multi-dimensional facility is built on a large piece of site, which amounts to 30 hectare along the Changi Coast Road. There is a fully air-conditioned exhibition hall, and an amazing outdoor area that is set against a gorgeous seafront view. We’re still waiting to experience our first electronic dance music event at this awesome venue. 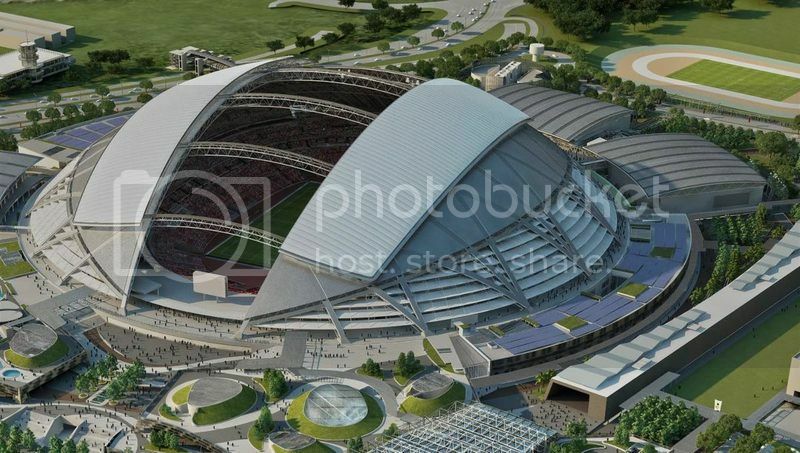 Singapore's new National Sports Stadium claims to have the world's largest free-spanning dome with a roof that can be opened and closed to suit the current weather. So if it ever rains, no event held there will be effected. A cooling system has been installed to ensure stadium patrons will be comfortable whatever the occasion. Aside from their world class facilities, the stadium also houses the Singapore Sports Museum, a sports library, and the aptly-named Kallang Wave shopping mall, which happens to be a super popular place to hangout. Mariah Carey and One Direction have already left their mark at the National Stadium, we’re guessing there will be more to come. 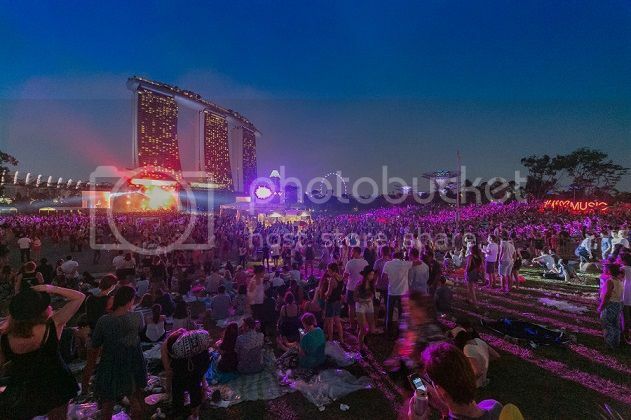 This manmade beach is home to ZoukOut, Singapore’s most celebrated electronic dance music event, and the NYC-based dub coverband Easy Star All Stars also recently performed at Siloso Beach in October. There are so many reasons why this venue works so well. It’s a beach for one, and who doesn’t like events held at a spot where you can feel the sea breeze blowing in your face. Located in the ever busy Sentosa Island, there is so much that one can do before heading for an event at Siloso Beach. The island is also home to Singapore’s Universal Studio, and the Resorts World Casino. This article is part of a series on the Singapore dance music scene in collaboration with IMS Asia-Pacific. For more info about the event click here.